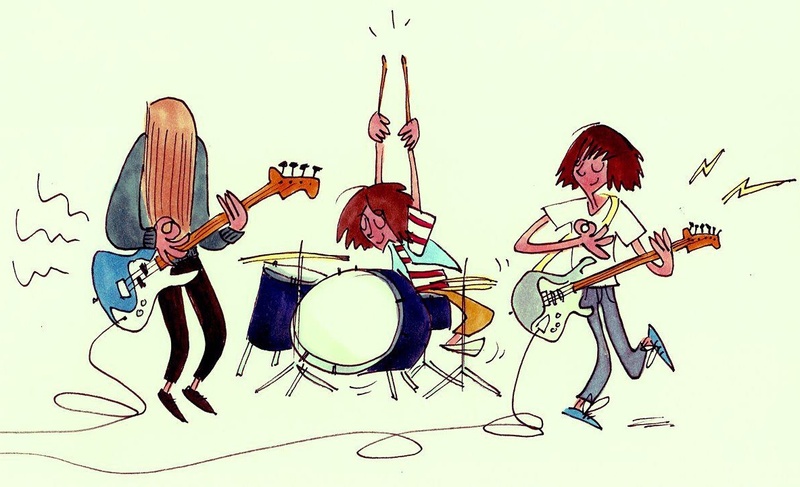 This week, I pleasantly stumbled upon “slacker pop” rocker chicks: The Courtneys, (thanks, Weird Canada!). The group, hailing from British Columbia, is made up of: Classic Courtney, Cute Courtney and Crazy Courtney, of course. The trio’s sound is, as self-proclaimed: “Sun drenched flying nun influenced pop with sweet licks that’ll stick with you for days.” Their influences also include: “Keanu, cheese ramen, going to the YMCA, cruising, slurpees.” What’s not to love? The Courtneys produced a rockin’ debut track, “90210” last year, as well as an “ALL BANGERS” 6-track cassette tape, K.C. Reeves (via Green Burrito), which you can buy here. Luckily for us, they’re coming out with a full length album, The Courtneys, due out June 7th on vinyl and cassette. And, if you’re interested, they put together a workout video, which is “really good for fighting off groupies.” – Something we all have to deal with on a daily basis. Smart thinkin’ ladiez!